Registered charity working with at risk families and children utilises cloud based Office 365 technology as an enabler to maximise limited budget and significantly reduce infrastructure capital expenditure. 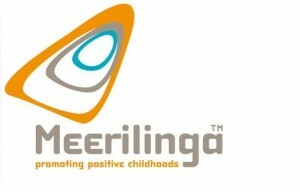 Meerilinga is a not-for-profit organisation and registered charity promoting the United Nations Convention on the Rights of the Child. Meerilinga works with children, their families, early childhood professionals, planners and the community to raise the status of children in Western Australia. In 2013, Meerilinga was granted funding to spend on an infrastructure and software refresh. After a thorough review of its needs, Satalyst recommended Meerilinga move to Microsoft’s cloud enabled Office 365. This Software as a Service (SaaS) model removed the requirement for backend infrastructure and the need to invest in IT support staff going forward. Deciding to deploy Microsoft Office 365 saved Meerilinga significant expenditure and provided the strategic longevity and mobility of a cloud service. Whilst not a significant volume sale, the impact of the rollout to Meerilinga has been significant in providing a not-for-profit organisation access to the industry’s most recognised set of office productivity and collaboration tools. The online features of Office 365 such as Skype for Business, Yammer, Exchange Online and SharePoint Online gives mobility and enables Meerilinga to provide ‘pop-up’ services in disaster affected or other geographic areas of urgent high need easily. The mobility of Office 365 and not being restricted by on premise infrastructure has greatly increased Meerilinga’s flexibility, efficiency and effectiveness in responding to and providing services at such events. Meerilinga loves the flexibility of the Office 365 solution. The affordable solution supports growth with a ‘pay as you grow’ model and removes, substantially, the need for infrastructure capital expenditure moving forward. Meerilinga feels this solution gives the organisation a more certain future as there is never certainty around grants on which it has come to rely on. Equipped with mobile hardware, Meerilinga employees now use Office 365 to remain in constant contact wherever they are, making it easier to work on inter-departmental projects and bring people together from different parts of the organisation. Meerilinga has since re-engaged Satalyst to help it utilise some of the grant balance funds to develop a web-based intranet solution for customer relationship management. If you have similar requirements in your business and would like further information about Satalyst and its services, please contact us. Satalyst’s expert advice throughout our cloud migration journey has resulted in a stable, flexible and cost efficient platform to work from and one that provided us with the liberation needed to remain focussed on our mission. We put our trust in Satalyst and have achieved definitive added value as a result!